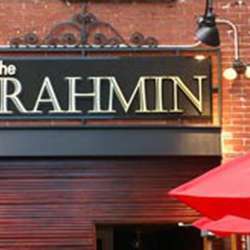 We start by celebrating at one of our favorite venues at BackBay Boston, Brahmin. Please join us early as our first 50 guests will be treated to a free welcome drink! Nestled in the heart of Boston, where the finest Back Bay restaurants, hotels, and shops convene, holds Brahmin's classy space that evokes an early-1900s brownstone offering cocktails & plates made for sharing. You are cordially invited to come have a relaxing evening as we mingle with friends while swapping holiday stories and making new ones. Tickets: Only InterNations Albatross Members can join this event for free. For InterNations Basic Members that have RSVP on the OFFICIAL GUEST LIST the cover will be $15 at the door. The cover for all other guests will be $20 at the door. CASH ONLY! RSVP: Please RSVP your attendance on our official guest list on InterNations by clicking the attend button so that we have an overview of the total guest number and can better accommodate our event. Please don’t forget to bring your passport or driver’s license! We look forward to seeing you and introducing all of our new members to the InterNations Boston Community.